They can be some of the most frustrating areas of the body when it comes to retaining fat, and this is often the case once women have had children: the hips. Fat deposits in the hips and flanks (love handles) can be extraordinarily resistant to diet and exercise, no matter how hard you push yourself. The good news is, liposuction as part of a mommy makeover procedure from Dr. Tom Lintner can eliminate extra fat in the hips for an improved contour to the midsection. This popular procedure can help you attain your goals and get you back to your pre-pregnancy appearance. Liposuction is one of the most commonly performed procedures in a mommy makeover. This popular cosmetic enhancement treatment is designed to eliminate areas of the body that are retaining excess fat – fat that has proven to be very stubborn in the face of even the most rigorous diet and exercise routines. Liposuction can be particularly useful in reducing fat deposits in the hips. 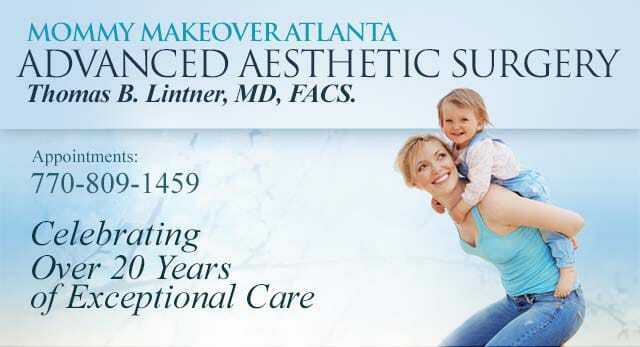 With advanced liposuction techniques, Dr. Lintner can effectively address these issues. Liposuction for the flanks is typically performed by making small incisions in the upper buttocks just below where a bikini line would be. For the outer thighs, or saddle bags, the incisions are made in the crease just below the buttocks. Long, thin rods called cannulas are then gently moved back and forth in the target areas, suctioning out the excess fat and giving the hips a more contoured, slender appearance. By treating the flanks, not only do you get a smaller waist and no more muffin top, but the illusion of a nicer profile with regards to the buttocks. Liposuction can be a great option to include as part of your mommy makeover, effective at improving the look of the hips, love handles, and a variety of other body areas. With liposuction, Dr. Lintner can remove excess fat in the hips and restore your pre-pregnancy proportions. Please contact Advanced Aesthetic Surgery for more information on procedures to improve the appearance of the hips. We will be happy to talk with you about a number of options that can be included as part of a comprehensive mommy makeover.